It’s a rainy awful day in Stockholm (except I actually love the rain as long as I’m indoors) and Louis and I have decided to skip our errands and chill at home until it’s time to bundle up and brave the weather to go and pick up Alec. My husband is in London this week so I am going solo with the little boys. Which means a lot of logistics and timing things (feeds, naps, etc) just right so we get out the door on time for nursery school drops and pick-ups, play dates, lunches and errands. Which means that I have been breaking my golden rule – Leggings are NOT pants – more often than I care to admit. Louis too, is all about the leggings. I am loving footed leggings for him. Somehow it just makes everything so much easier. 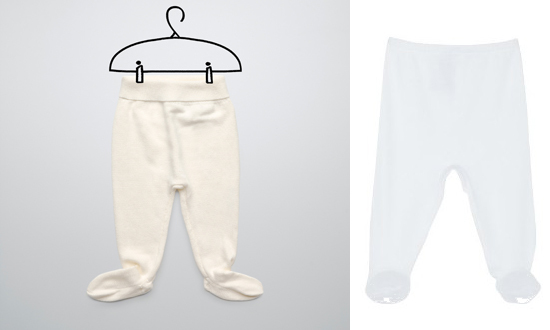 We have a couple of pairs of Petit Bateau leggings that we have used a lot. And we are crazy about the new knit leggings we picked up at Zara last week. So cute and comfy!